Want to create a large interactive board without spending a lot? This upgrade will add eBeam Projection functionality to your eBeam System 3 receiver. Have you lost your Interactive Stylus? 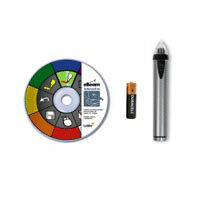 This kit will give you an extra Interactive Stylus and another software CD.